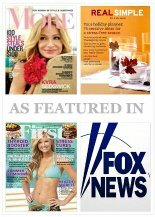 These independent reviews spotlight the best skin care products that provide the most effective anti-aging treatment of aging skin symptoms. Each anti-aging treatment reviewed here is formulated with an effective concentration of clinically proven active anti-aging ingredients so you can be sure to get the results you expect. The key is to use the best skin products that promote facial rejuvenation and have been proven to work! These reviews assess the critical key factors and ingredients that most effectively promote facial rejuvenation. 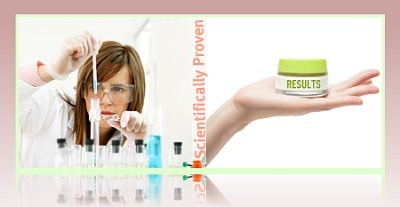 The factors analyzed include the specific formulation and percentage of clinically proven active antiaging ingredients. This is truly the essence of the 1 . . . 2 . . . 3 . . . 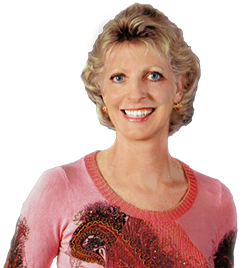 It is these qualities that have earned this selection of facial rejuvenation treatments our hearty recommendation as the best skin products for the anti-aging treatment of aging skin issues. It's really all about the percentage of an appropriate amount of active anti-aging ingredients that is essential in successfully rejuvenating aging skin. 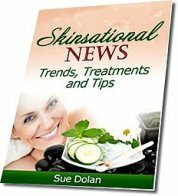 Rediscovering youthful, healthier skin again is much easier once you know all the facts. 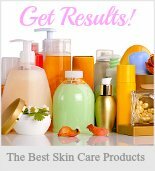 Using the best skin care products like the ones listed here will give you the very BEST RESULTS! Since each featured anti-aging treatment contain clinically proven active ingredients in an effective concentration please be sure to follow the directions so you get the very best results. 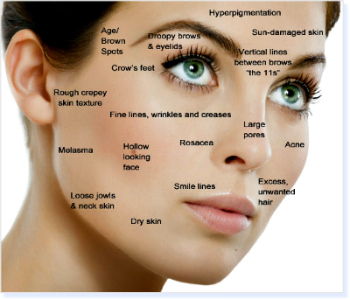 They are simply the best skin products you can select for effective facial rejuvenation. . . 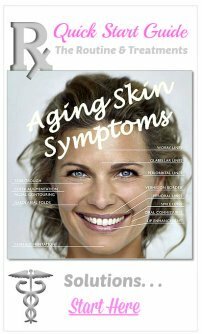 Isn't it astonishing just how many different symptoms of aging skin there are? And, unfortunately, if those symptoms go untreated they just continue to multiply as the years go by. Now for the reviews of the best skin products formulated with the clinically proven active anti-aging ingredients that literally work magic on all those pesky symptoms of aging skin . . .
Afirm contains Retinol, which minimizes fine lines, brown spots and reduces the incidences of acne outbreaks as a result of the exfoliating properties. Afirm is available in three different strengths to accommodate sensitive, normal, or oily skin. 1x contains .15% retinol, 2x contains .30% retinol and 3x contains .60% retinol. SkinCeutical's Retinol 1.0 is the strongest over-the-counter vitamin A treatment available containing 1% retinol. As with the other vitamin A derivatives, retinol stimulates cell regeneration and builds collagen which can diminish the appearance of fine lines, wrinkles, and age spots as well as reducing pore size and the occurrence of blemishes. 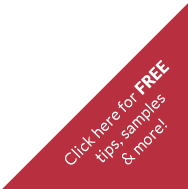 Products with a beneficial concentration of retinol are without a doubt among the best skin care products you can select to effectively treat a range of aging skin concerns. Derma E's Vitamin A Retinyl Palmitate Wrinkle Treatment Creme is a derivative of vitamin A. Studies have indicated that Retinyl Palmitate achieves similar results as retinol but is considered to be much gentler anti-aging skin care treatment and is particularly recommended for sensitive skin which earns this treatment a prominent place in the best skin care products listing. SkinCeutical's C E Ferulic is a powerful antioxidant which protects the skin from the environment, neutralizing free radicals while stimulating collagen production. The ingredients include 15% pure L-ascorbic acid, 1% alpha tocopherol, and ferulic acid. Cellex-C High Potency Serum, Cellex-C Advanced-C Serum 17.5% vitamin C and Cellex-C Skin Firming Cream are all a high potency vitamin C treatments and a powerful antioxidant which tones and firms sagging skin as well as reduces the visible signs of aging. While Dr. Perricone's selection of DMAE skin firming products are specifically formulated to target a wider range of facial rejuvenation needs. IS Clinical Youth Complex has the highest over-the-counter concentration of the active antiaging ingredient hyaluronic acid on the market. HA is extremely effective in plumping and firming sagging skin, diminishing fine lines and wrinkles as well as treating acne scars and healing damaged skin. Alpha Hydrox offers a range of lightweight 10% to intensive peel strength glycolic acid products. Many of their products combine anti-inflammatory herbal extract to decrease the irritation that some people experience with an AHA product. The gel consistency ensure an even distribution of the glycolic acid and facilitates rapid absorption, creating a more even skin tone, smoother skin by gently exfoliating, unclogging pores thereby producing a healthy glow. Riiviva Microderm is a really exciting (though a bit pricey) addition to the current DIY home spa treatment options. Riiviva Microderm has introduced the first FDA approved professional dermabrasion system for home use that includes an assortment of medical grade diamond tips for all skin types. Reviva Labs Vitamin K Cream reduces the redness caused by rosacea, diminishes the appearance of small spider veins, and promotes the healing of bruises. The formulation of active ingredients a variety of all natural, organic ingredients to calm the skin. Unity is a moisturizing cream with an active copper peptide formula combined with the powerful punch of HA, Argireline Matrixyl 3000 and Vitamin B5 that works wonders in improving the skin's elasticity as well as firms, reduces fine lines and wrinkles, and increases the skin's hydration. Haloxyl Serum utilizes the latest science and a medical approach to combine clinically proven ingredients like a potent percentage of the active ingredients Haloxyl and Eyeliss to reduce discoloration and fade out dark circles underneath the eye. As new and exciting products are introduced in the marketplace, The Skin Care e-Learning and Resource Center will continue to scout out and review the best skin care products for facial rejuvenation. Be assured that you will always be able to find out what the best skin care products are right here!